Right from its inception in 2003 and its launch onto the global market in 2004, CLiKAPAD has been designed, developed and manufactured in the UK. Thus at every stage jobs are created in the UK, taxes paid in the UK, and another little boost given to the UK economy. Our CP3 series products are produced in Chippenham where our production partner has up-to-the-minute technology to ensure absolute accuracy in placing the high quality components which are 100% specified and tested by our design team. The superior build quality achieved makes the finished CLiKAPAD so robust we have no hesitation in providing a 3 year warranty. 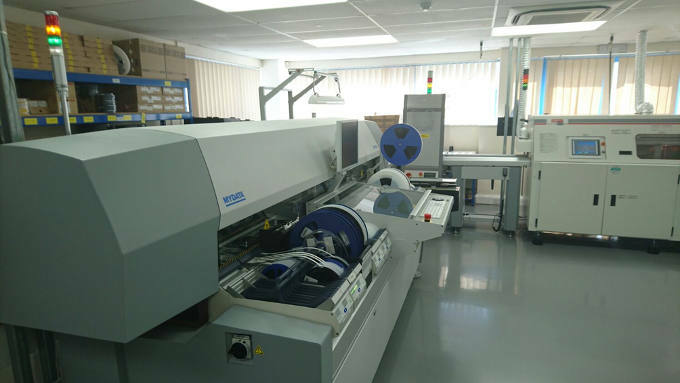 Every CLiKAPAD unit is Quality Control tested at multiple stages using technology to measure accuracy, correct component fitting and strength of bonding. At the final assembly stage the product is tested for functionality and physical appearance. You can rely on the CLiKAPAD brand as being the very best engineered product of its type on the market today. 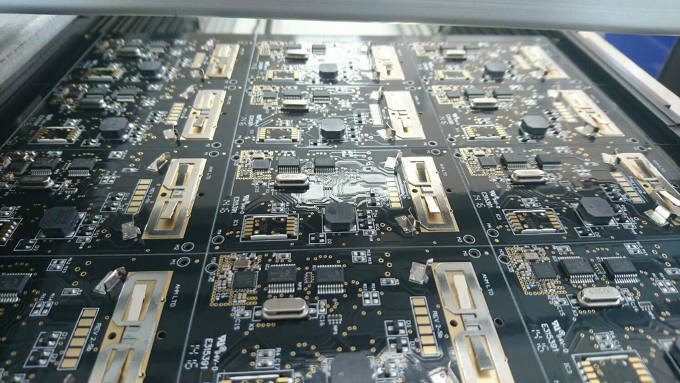 The first stage of any quality production is making sure the component specified is reliably sourced and the build process starts with solder pasting each circuit on a panel of 15 x circuits. 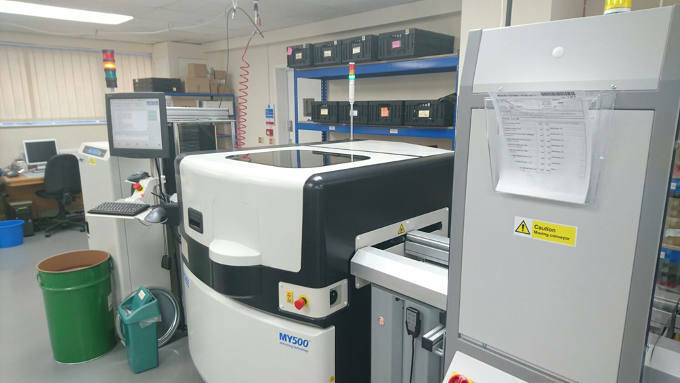 It then moves from the solder paste machine to the robot pick and place machine that has multiple heads and can pick and place component that it selects from the “circuit image” and “bill of materials” with which it is programmed. The majority of component is fed into the pick and place machine from reels loaded into the “feeders” and once the pick and place unit has been fed it will carry on automatically building up component on each circuit until complete. It will then send the panel to the manual placement area and from there to the reflow oven to bond the components to the PCB. 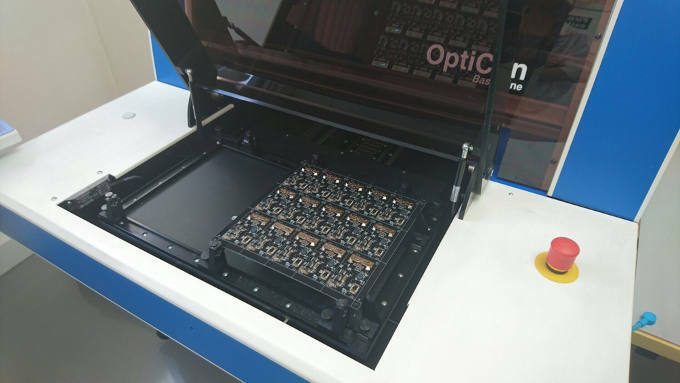 From reflow the Panel of 15 x circuits, (15 x CLiKAPADs) goes off the the AOI (Automatic Optical Inspection) where every circuit is checked for the correct component, the right way round and secured effectively. Once passed by AOI the panel becomes 15 x separate circuits that then make 15 x CLiKAPADs with the addition of a case, 2 x cells, some screws and a specially designed multi-layer membrane that provides the interaction between the user press of a specific number to the underlying circuit to transmit the vote.